Volvo FH12 420 Tipper. Off highway 20T dump truck. Highway 13.5T dump truck. Reconditioned Motor late 2017. All maintenance is up to date just start it and go. Available for hire or purchase. 1996 Volvo FH12 420 Tipper. 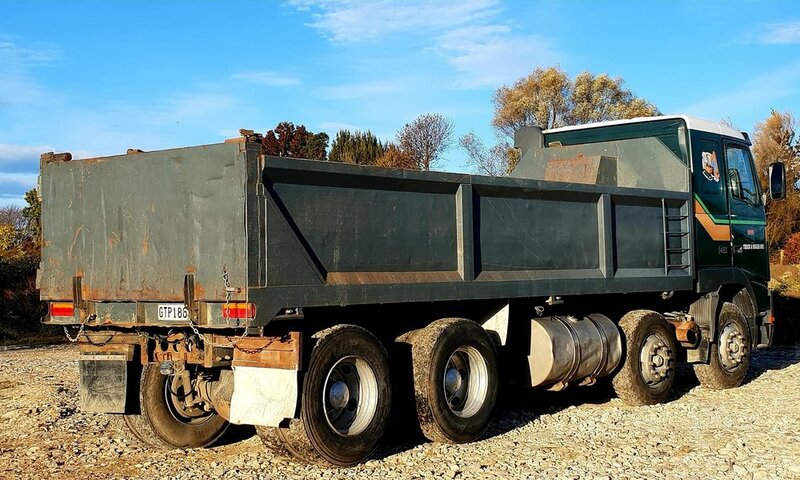 Reliable 8 wheeler 13.5 tonne tipper - available for hire in Nelson-Tamsan area. Reconditioned motor late 2017. Comfortable sleeper cab. Give us a call to talk about hire or purchase today!